Ada pertanyaan untuk Astra Suites? 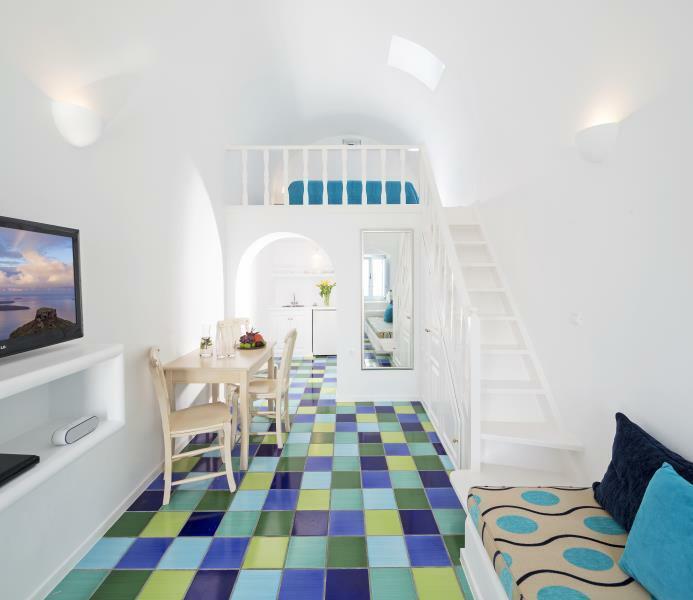 Astra Suites, terletak di Imerovigli Santorini adalah pilihan yang populer bagi para wisatawan. Kehebohan pusat kota terletak hanya 2.00 Km dari sini. Dengan lokasinya yang strategis, hotel ini menawarkan akses mudah ke destinasi yang wajib dikunjungi di kota ini. Fasilitas dan pelayanan yang ditawarkan oleh Astra Suites menjaminkan pengalaman menginap yang menyenangkan bagi para tamu. Sejumlah pilihan fasilitas kelas atas seperti WiFi gratis di semua kamar, layanan taksi, resepsionis 24 jam, penyimpanan barang, Wi-fi di tempat umum dapat dinikmati di hotel ini. Akomodasi hotel telah dipilih secara cermat demi kenyamanan maksimal dengan adanya handuk, kolam pribadi, akses internet WiFi (gratis), kamar bebas asap rokok, AC di beberapa kamar. Hotel ini menawarkan fasilitas fantastis, termasuk hot tub, kolam renang luar ruangan, spa, pijat, kamar uap, untuk membantu Anda bersantai setelah sepanjang hari beraktivitas di kota. Temukan paduan menarik dari pelayanan profesional dan sejumlah fasilitas di Astra Suites. 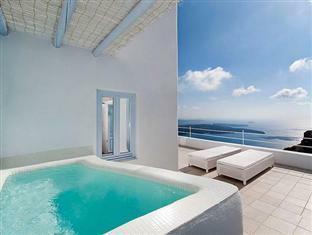 Amazing views and nice room decor and facilities. A most enjoyable stay. Hotel excellent all round. Hiking on the Island particularly recommended. Food at local restaurants also excellent value for money. 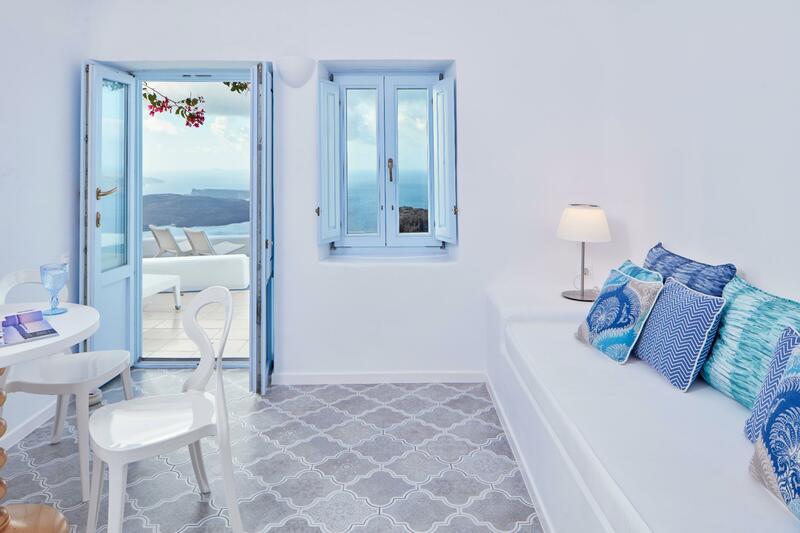 Can't go wrong with Astra Suite, unlike Oia where throngs of tourists are surging everywhere all the time, Imerovigli provides more peaceful setting to fully relax and enjoy the sunset. 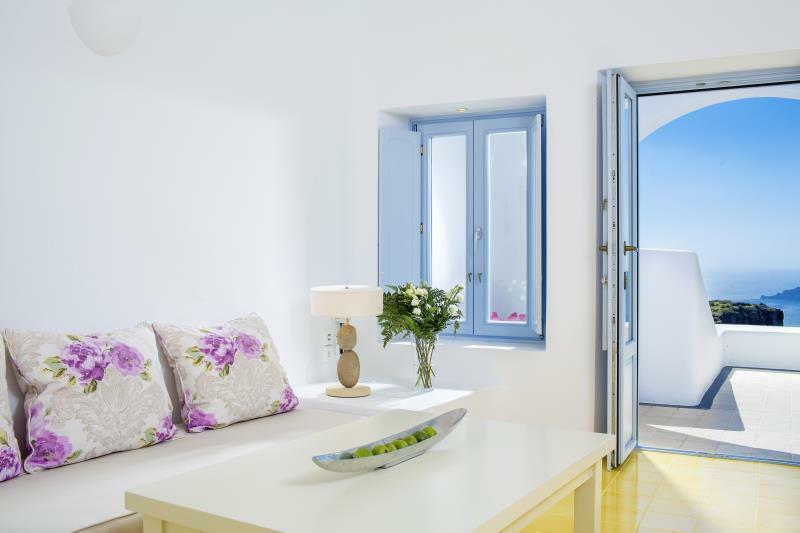 Especially with the awesome view of Skaros rock right in front of Astra Suite, which can be seen from your balcony anytime. 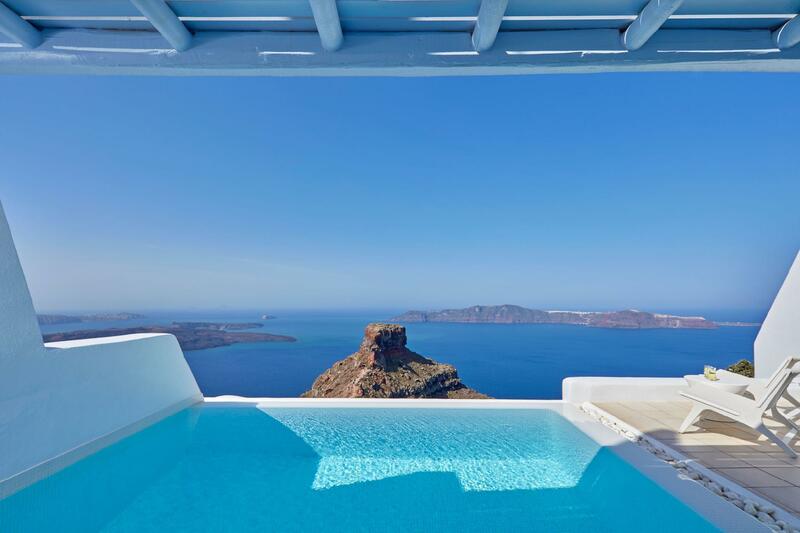 Most beautiful view in Santorini period! Beautiful (breathtaking) location, accommodating staff, and loved the breakfast served on the balcony! Amazing stay at an amazing place. Expressive but in the context of an expensive island this is a fanatastic place. I would recommend above Oia and Fira as you get the view of the whole bay and as its on the right hand side of Imerovigili you get the sunset too! We stayed there for 4 nights for our honeymoon and totally loved everything about this place. Nice caldera views, great stuff and having breakfast in our room/ balcony was the best. Highly recommended!! Extremely helpful staff. Outstanding views. We were treated like Gods! I can honestly say this was the best holiday I have ever been on. Upon arrival we were greeted by the staff who took our bags and put them into our rooms. We were sat down at the reception desk where the staff went into great detail the facilities of the grounds and the best routes to wherever. When they showed us to our rooms, they told us that we had upgraded to the junior suite from the studio which was an added bonus. The view we had from our front door was unforgettable. This is one trip I will remember for a lifetime. If I have 6 stars, I would give it. The moment we step foot into Astra, we were greeted with such warmth and friendliness, it surpassed all our expectations which was already sky-high. 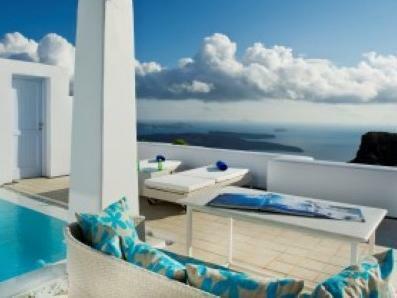 Ann Marie & George were very helpful in providing us with all the information we needed for our stay in Santorini. The room was exactly as the photos uploaded in the internet & very clean. Breakfast at our private balcony was excellent and the view was magnificent. This is by far the best hotel I've ever stayed in. One of the best hotels, if not the best I have ever stayed. It scores high on Agoda and Tripadvisor so the expectation was high and it didn't let me down anywhere. The staff does whatever they can do for you and in many cases, it is more than what we ask and they did it with a smile - what else can you ask for a good vacation? We were there at the low season and many restaurants were closed. And each time we went to the lobby to asked about the way to the restaurant they not only told us how to go there, they booked for us to make sure it was open. And I can keep telling things like this for an hour. The hotel locates at the highest point of the island so you don't have to worry about the view, it's definitely the best for me. Breakfast is flawless it's delivered to your balcony at the time you want. Food was delicious and fresh. It's expensive but to me it is well worth the money paid so 10/10 and highly recommended. Views, Room Size, Food, Service. loved this hotel. 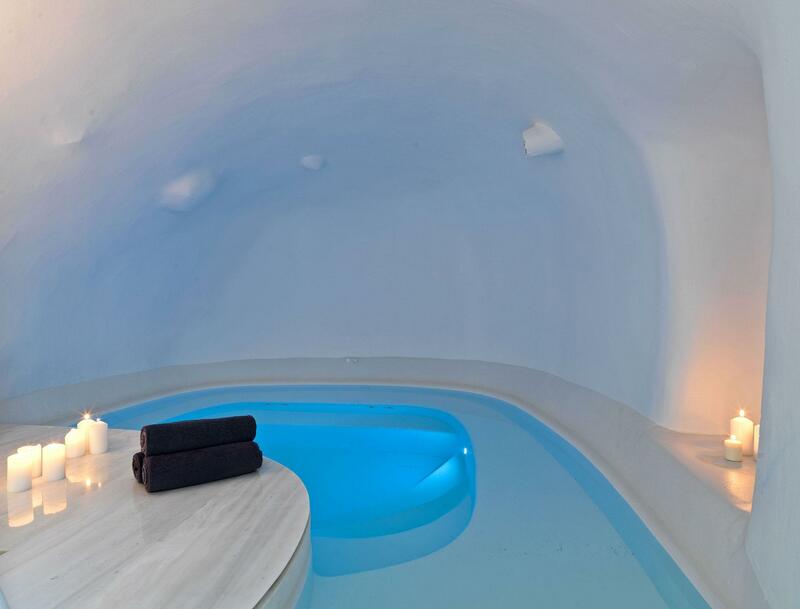 imergovigli is the best place to stay to avoid the crowds. pools should probably be heated since they were a little cold. room size and quality was great. service was prompt and recommendations from the staff were excellent.